Every member of our Ffynone family participated in our annual Race for Life on Friday 21st October. The sun blazed down on beautiful Swansea Bay and spurred on last year’s winner to beat his previous time. 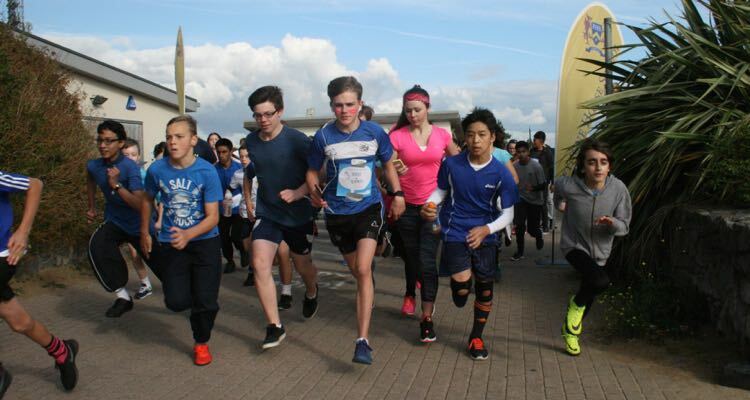 Harry, now in Year 8, completed the 5k course in just 19 minutes and 56 seconds. Lewis (Y10), and Tyler (12) came second and third respectively. Mr Boulding leading the staff contingent in a time of just under 25 minutes. 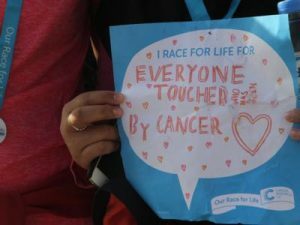 Students ran for relatives and friends affected by cancer, with many noting the names of their loved ones on their race cards which they wore on their backs. It was humbling to see so many young people who have been touched by this disease harnessing their memories and pushing themselves to do their best in the race. We have raised over £1000 so far, with more still to come. Well done to all those who participated, and our thanks to Miss Prosser for organising such a successful event.